When does a child go into care? We work with and fund a number of programmes and services that provide support to families and communities. Our programmes and services vary in their approach, because different people need different things, at different stages of their lives. Some of our programmes and services are about early intervention – stopping the cycle before it happens. Others are about empowering our communities at a grass-roots level – giving them a voice and influence over the decisions that affect them. These one-week programmes are for young people aged 11 to 17. Activity happens daily, during Christmas and Easter holidays. The programmes give young people an opportunity to enjoy fun, stimulating and structured school holiday programmes, at no cost. a combination of sport and general activities. South Island (Greymouth, Christchurch and Dunedin). These regions may be subject to change. Family Start is an intensive home visiting programme, focused on tamariki. The programme works with whānau to improve a child’s health, learning and relationships. It also looks at the child's environment, their family or whānau circumstances, and their safety. Participation in the programme is voluntary, and it supports families and whānau who are struggling with challenges or problems that put the health, education and wellbeing of a child at risk. Family Start visits can start in the early stages of pregnancy (from three months) and referrals are taken up until a baby is one year. Family Start may continue with the same family until a child is school aged, but only if needed. In exceptional circumstances, a new referral can be taken for a child of up to two years. they're a young parent that needs extra support. Family Start is about improving a child's health, learning and relationships. help them understand what they can do as a parent at different stages as their child grows. For example, through this Work and Income subsidy, families enrolled in Family Start or Early Start may be able to get financial help so their children can participate in early childhood education. If you would like to refer a family to Family Start, you can talk to a doctor, midwife, Well Child nurse, or any service involved with a family. You can also contact a Family Start provider to find out more about the programme. A list of Family Start providers and locations is provided in the side link. the family gives consent for the referral. Send the form, along with any supporting documents, to your local Family Start provider. The provider will contact the family within five days to arrange an initial visit and confirm whether it's the right service for the family. They’ll also let you know the outcome of the initial visit. Family Start providers are happy to talk through any potential referral if you – or the family – are unsure the programme is the right way forward. This guide is designed to help practioners working with families. 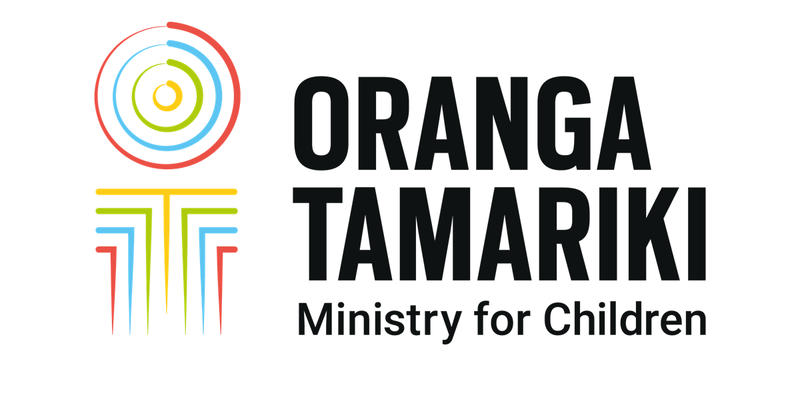 Working together one day seminars are free and run in partnership between Oranga Tamariki and Child Matters. build a network with others in your community. Most of the time, mothers are the focus of initiatives for teen parents, and the fathers are overlooked. But these young fathers have a very important role to play in the upbringing of their children. In fact research shows teenage mothers also parent better when they have strong social and emotional support from their child's father. Here you’ll find a useful resource for service providers who deliver, or are thinking about providing services for teen fathers. This research shares the experiences of service providers, and teen fathers themselves, and provides findings for what works best when supporting them. It also gives valuable ideas about how to develop effective services that help young dads be responsible and nurturing parents. SWiS (Social Workers in Schools – at the primary school level), MASSiSS (Multi Agency Support Services in Secondary Schools) and YWiSS (Youth Workers in Secondary Schools) are school-based community social work services. These provide early assistance and intervention to children and their families when social or family circumstances are causing the child to struggle with education, health, mental health or social development. The aim is to see safe, healthy and socialised children with a strong sense of identity, who are fully engaged in school. Referrals can be made by the children or family themselves, the school, or community or government agencies. Referrals need the consent of the family, as the service can only be successful with the family’s willing participation and engagement. SWiS social workers are employed by NGO social service providers. They work in partnership with school staff, as part of the school community. who are from families who may be struggling financially, or with issues such as overcrowding, family violence, drug and alcohol etc. from at-risk families, including those who have been referred by Oranga Tamariki for community-based support. The transition to secondary school is often a challenging time for young people, particularly the move up to year nine. As part of the Prime Minister's youth mental health project, youth workers trained in mental health issues now work in selected low decile secondary schools. The youth workers mentor young people who are at risk of, or are actively disengaging from school. The aim is to improve their school attendance, engagement, achievement and wellbeing, with an emphasis on mental health. The service is available to students and their families and whānau, at no cost to them. The youth workers are contracted by NGO providers, and funded by us. For more information, or to request additional resources please contact your partnering for outcomes regional advisor.